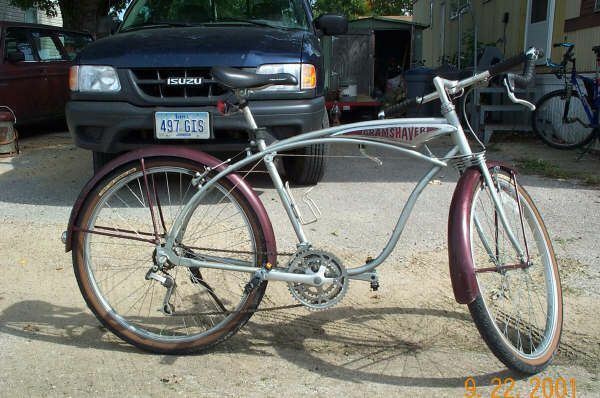 Here is an ole bike I built about 15 years ago. Not sure what the frame was. 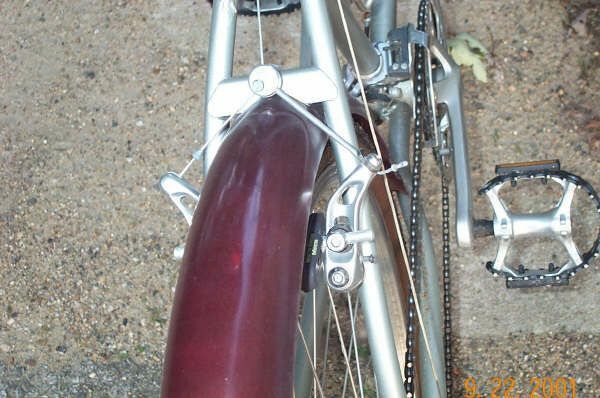 I used a bottom bracket for a BMX bike that fit in place of the original 1 piece crank. Triple chain ring and 3 spd internal hub. 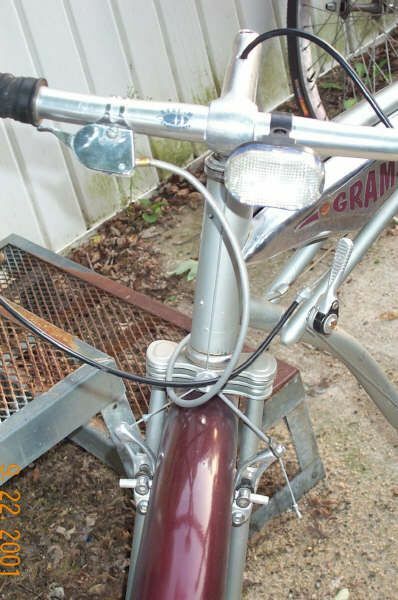 I plan on an 8 speed internal soon. Continental Top Touring tires. 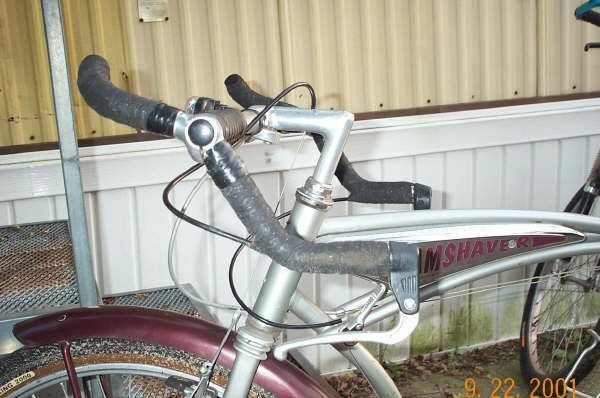 I brazed on studs for brakes and shifter as well as cable cups. These picture were taken after a couple years so it lost some of its shine. Wow that's is definitely a work of art I can appreciate!!! . Love how you made your own custom bike. Its a little bit of a sad deal. I got crippled up with severe Arthritis about 2004 and lost interest. Left the poor ole girl out in the rain & snow for over 5 years. 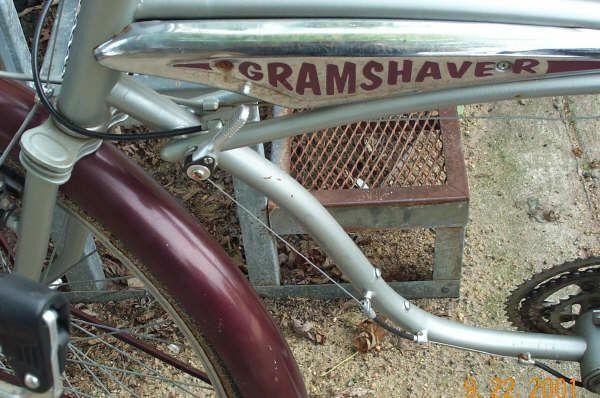 Now thanks to biweekly injections I am up on a bicycle again but the ole Gram Shaver needs a complete rework. I think this time I will have the frame powder coated. I had 2 sets of decals made when I 1st built so It will be the Gram Shaver. If you lived closer I would've reworked it for free!